← Judging a book by its cover? In his “Introduction” to Miss Julie and Other Plays (Oxford: Oxford UP, 1998), Michael Robinson speaks of Zola’s manifesto “La Naturalisme au théâtre” (when it should be “Le Naturalisme”). In Curtis White’s novel Anarcho-Hindu: The Damned, Weird Book of Fate (Normal, IL: FC2, 1995), I came across “Bien sur, petit” (when it should be “Bien sûr“). In Modernism: The Lure of Heresy (New York: Norton, 2008), Peter Gay writes that his visit to the Guggenheim Bilbao, “to borrow the highest praise the Guide Michelin has to offer, Vaux le voyage” (instead of “vaut le voyage”). He also talks of Edouard Dujardin’s Les Lauriers sont coupés and his introduction of “monologues intérieures” (when it should be “intérieurs“), and Balzac is said to be the author of Les Illusions perdu (when it should be “perdues“). In the English translation of Julían Ríos’ wonderful short story “Revelation on the Boulevard of Crime”, included in Best European Fiction 2010 (Champaign, IL: Dalkey Archive, 2010), I came across “Voilá le plaisir” (instead of “Voilà“). In The Star Factory, Ciaran Carson quotes from Jean Cocteau’s Orphée: “L’oiseau chant avec ses doigts” (when it should be “chante“). These are just some examples among many more I’ve come across over the years. So what’s to be done to remedy this sad situation, if anything? I don’t know. Perhaps someone should drop a line to President Sarkozy of France, or to the head of the Académie française (is it not Fumaroli himself? ), or to Abdou Diouf, the Secretary General of the organization of French-speaking countries, La Francophonie. 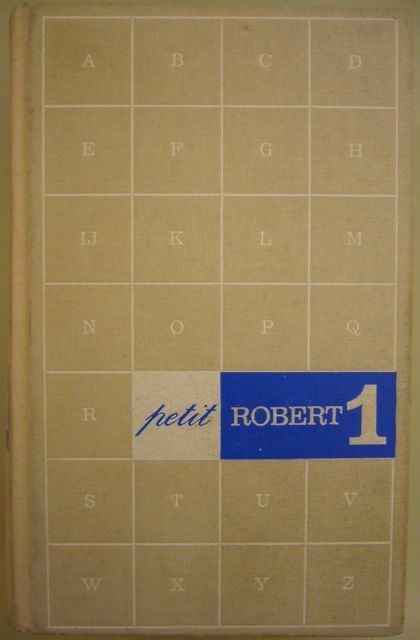 Perhaps it’s time they started distributing copies of the dictionary Le Petit Robert and the grammar Le Bescherelle to writers and publishers the world over if they don’t want la langue française to fall further into disuse. This entry was posted in French and tagged Curtis White, French, Julían Ríos, Marc Fumaroli, Peter Gay, Strindberg. Bookmark the permalink. Mmm, the final thrust, so … ? What would you say about the so-called and so-far-from-perfect “international English” which is now ruling the world?